Dr. Pedo Noguera, distinguished Professor of Education and Informational Sciences, visited Windham Public Schools November 14th. He presented a speech and held forums with teachers and students. 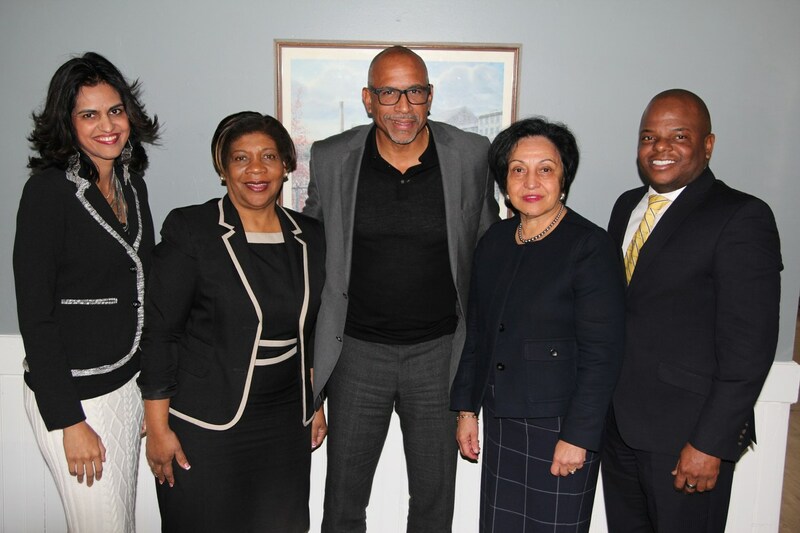 Dr. Pedro Noguera’s visit in collaboration with Eastern Connecticut State University was a huge success. Dr. Noguera first gave a speech followed by a Q&A session at ECSU to their professors and students, as well as Windham Public Schools staff, students, officials, and greater community. Superintendent of Schools Dr. Garcia, Supervisor of the Bilingual Department Dr. Mudambi, Dr. Núñez President of ECSU, and the Dean of the School of Education and Professional Studies, Dr. Easley II, welcomed Dr. Nogera to Willimantic. As part of his visit, Dr. Noguera had lunch with ECSU student leaders and students in the New Arrival Program at Windham High School, where topics such as bilingual education, multiculturalism, future goals, and improving academic performance were discussed. This was a great opportunity for all students to ask questions and voice opinions, creating an open dialogue around important issues. After lunch, Dr. Noguera spoke to Windham High students and held a question and answer session. Students had been looking forward to his visit and studied his work in their classes. They asked pointed questions about poverty, student achievement, the importance of education, and how to overcome everyday obstacles. In appreciation, students presented Dr. Noguera with a gift basket and he was given a tour of Windham High School. To conclude his visit, Dr. Noguera held a forum with teachers and administrators to address how to improve equity in schooling. There was an open conversation about how to increase school pride and make school a community center. Thank you to everyone who made this visit possible! 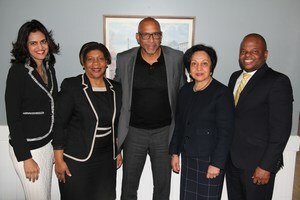 Read ECSU's Press Release on Dr. Noguera's visit.